I used to work with this girl who was obsessed with cheez-its. Like, Costco sized box at her desk obsessed. Most days I could pass on the nibbling, but no amount of wanting to eat healthy helps when real afternoon (or evening) hunger strikes. That’s why I love these delicious protein peanut butter balls, or PPBBs for short. They are easy to prep, don’t require you to leave your desk or house to get them, and they are packed with protein and healthy fats to hold you over. This recipe makes two servings (1 serving size = 2 balls), and they have great macros thanks to the vanilla protein powder. Most snacks are carb and fat heavy, which mean they taste good but will wear off shortly after. Protein will help you stay fuller longer, which will help you avoid overeating. For comparison, they are similar to an RXBar. Great option to rotate into your snack rolodex! Also for comparison, here are the macros for a Snickers… notice the lack of protein, and high sugar + low fiber combo (blood sugar will spike to digest and the “full” feeling won’t last long). Snacking can be challenging, but will a little planning ahead (these only take 10 minutes to prep and require zero cooking, no excuses!) you can snack your way to better health. 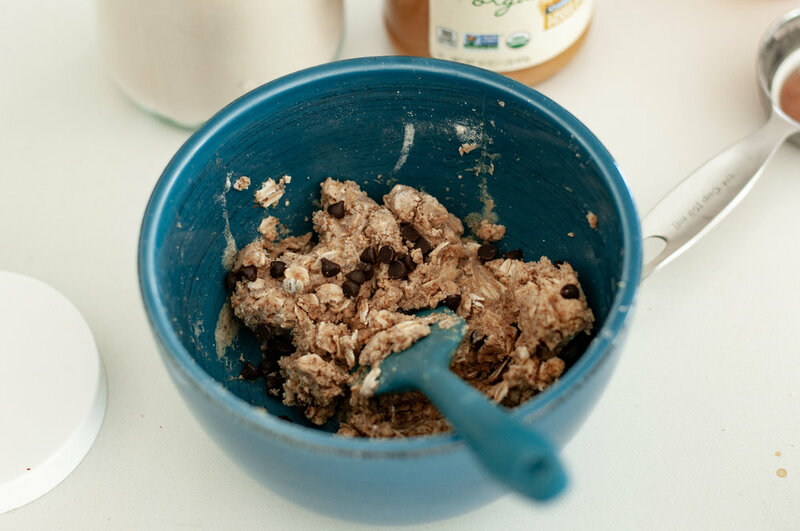 Mix all ingredients except almond milk and chocolate chips in bowl. The dough will be dry and crumbly. 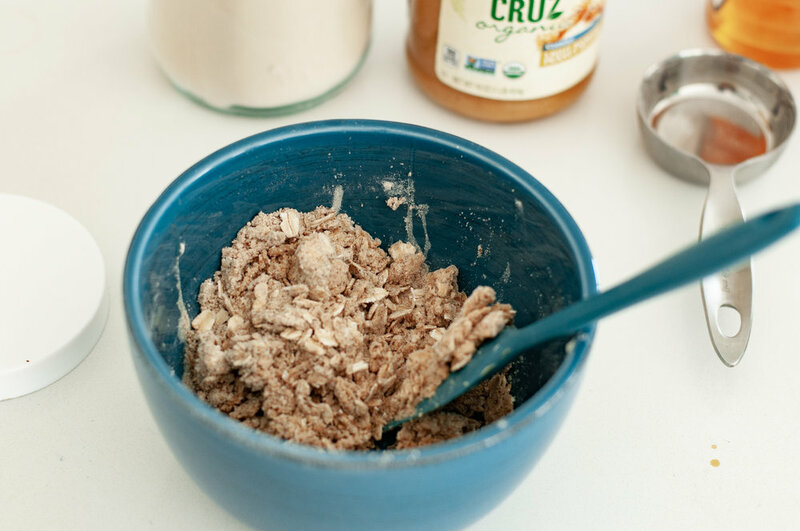 Add 2 tbsp of almond milk and mix, add more if needed. You want the dough to mix but not be sticky and wet. Roll into 4 balls and store in fridge. Stock up on Vanilla Protein now!